Senator Bernie Sanders responds to the endorsement of Hillary Clinton by the HRC, Planned Parenthood, and NARAL by saying that his campaign is fighting the establishment. Senator/Secretary Clinton and those organizations all fired back. I will give my views on that story as well as some more commentary on why the infighting going on here could be disastrous for the election later this year. In my debating the Cruz citizenship issue I found some more information to share on why he is eligible to run for President. Let’s beat him on the issues and not on manufactured attacks, ok? Sarah Palin jumped into the fracas by endorsing Donald Trump for President. Is this going to make the election even more interesting? Youbetcha! 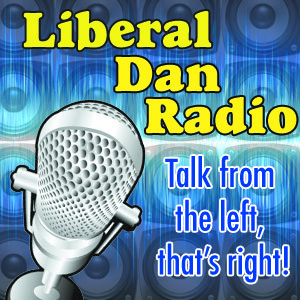 Those issues, tweet of the week, words of redneck wisdom, headlines, and more at 8pm Central on Liberal Dan Radio: Talk From The Left, That’s Right. If you would like to support the podcast, please check out the Liberal Dan Radio GoFundMe Page. Liberal Dan Radio 1/13/2016: Never Quote Me The Odds! The record breaking $1.5 billion Powerball drawing is tonight. Do you have your tickets? I do have mine, but I also am seeing a lot of people out there with some really bad math. I will go over some of the crazy things I have heard people say when it comes to the Powerball. The State of the Union Address came on last night. It was a really great speech and Obama hit it out of the park. I will go over some of the major points, the couple times the President stole my thunder and the one time I stole his. Finally, when Liberal Dan Radio warned you about the dangers of the Michigan law that allows the Governor to install a city manager in “failing cities”, I never thought it would be a deadly decision. I will give my thoughts on these ridiculous laws and explain why this should prove the GOP is absolutely not the party of small government. Remember, if you want to support the show you can always make a contribution at the show’s Go Fund Me page.